Last year New Zealand published a number of documents that were distilled from the Interoperability Reference Architecture we published the previous year. 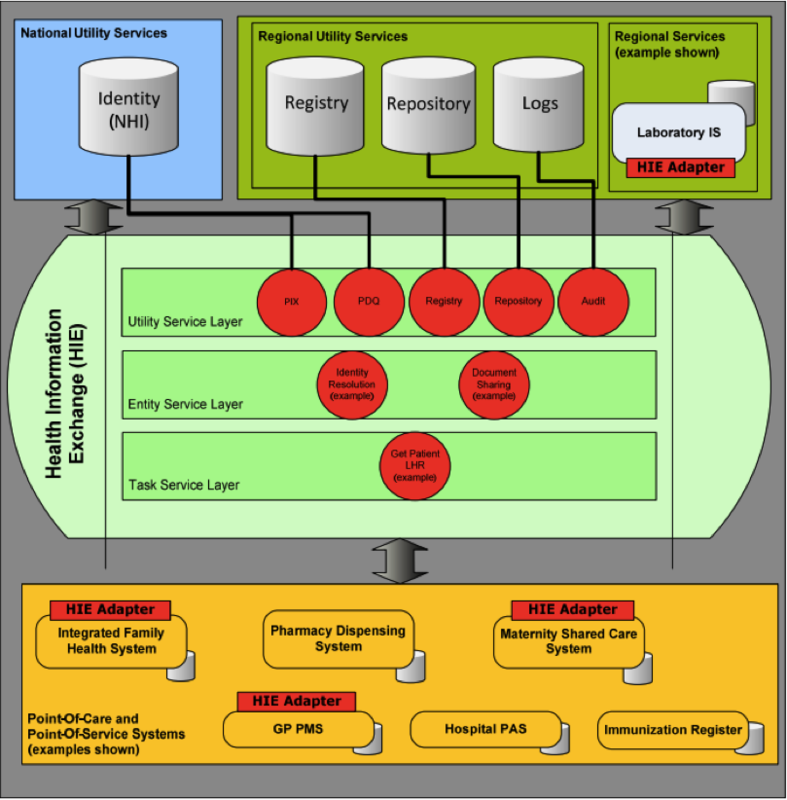 One of them was about the utility services that we envisaged would be needed to support the National strategy around health information interoperability, and the following diagram was included to show how we described a service based layer (we called it an HIE – which has a different meaning in the US) providing access to regional data repositories for shareable clinical data. I’ve always believed that FHIR was an excellent candidate for this layer – and so I was especially pleased to see this post from Keith Boone describing how FHIR could support Task orientated services as well as Entity services – just as we had envisaged (though I’d have different examples for the entity services these days)!